They liked this one so much that they used it twice. Two pound coins didn’t exist then, of course – otherwise they could just have spun one of them. They also made this spinning globe. If it had been animated with java, then I could have made a joke about it rotating around the Sun Microsystems. But it wasn’t, it’s just a gif. Whatever this is supposed to be, I don’t like it. 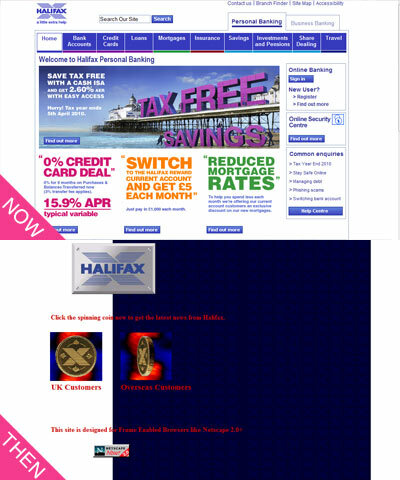 This entry was posted on March 20, 2010 at 9:01 pm	and is filed under Halifax. You can follow any responses to this entry through the RSS 2.0 feed. You can leave a response, or trackback from your own site.